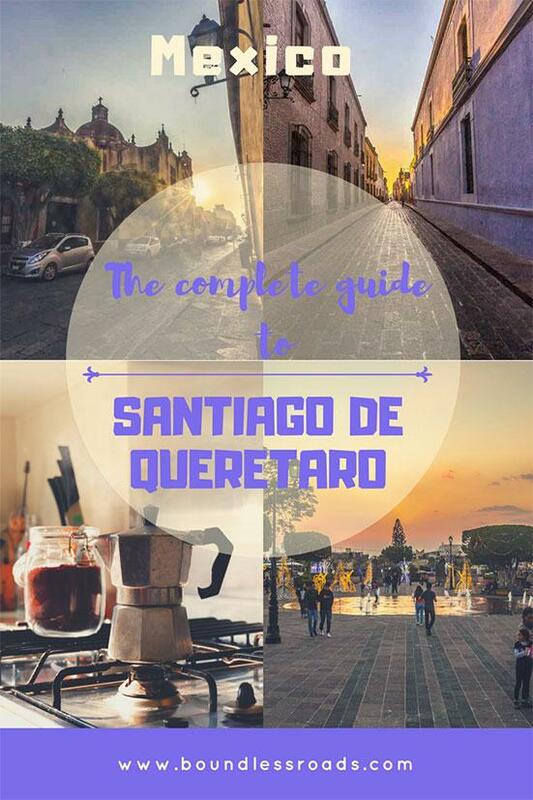 In this article, you will get very useful information on how to visit Santiago the Queretaro, where to eat, where to stay and things to do in Queretaro, the city, and the entire state. 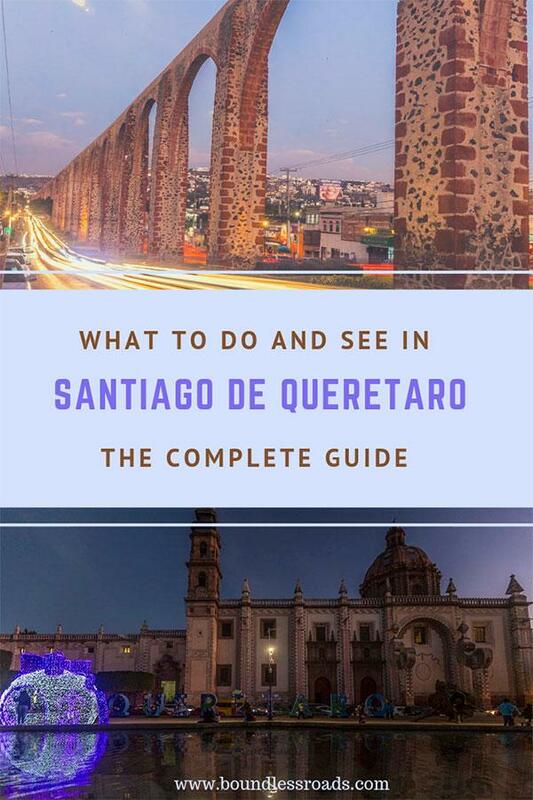 I have always heard about the quaint historical city of Santiago de Queretaro and when I finally made it there I took an entire week to browse around the city, meet the people visit the most important museum and try the many different restaurants available. As a vegan, I did a full checkup of all the vegan and vegan-friendly restaurant and you can find my full review here. I actually loved to sit in the many different restaurants and work from my computer, living like a local. 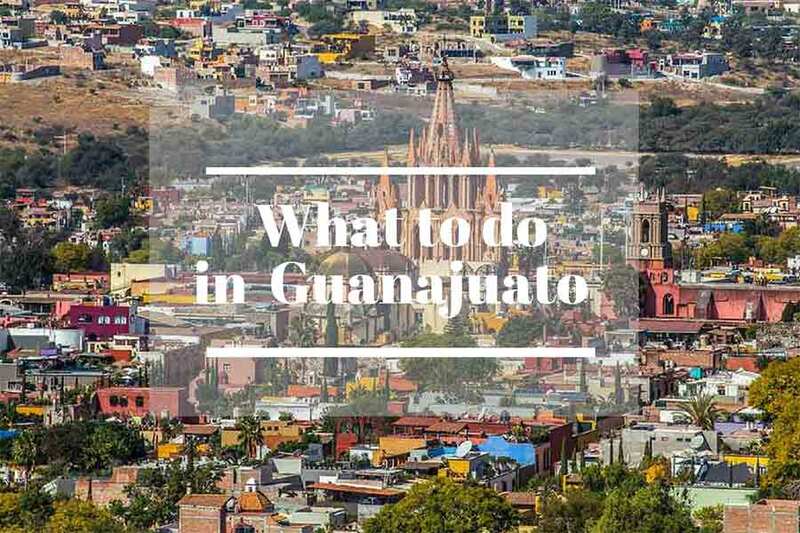 The city is literally an open-air museum showcasing baroque architecture through the old historical houses, majestic churches and monasteries, plazas and many different art and history museums. 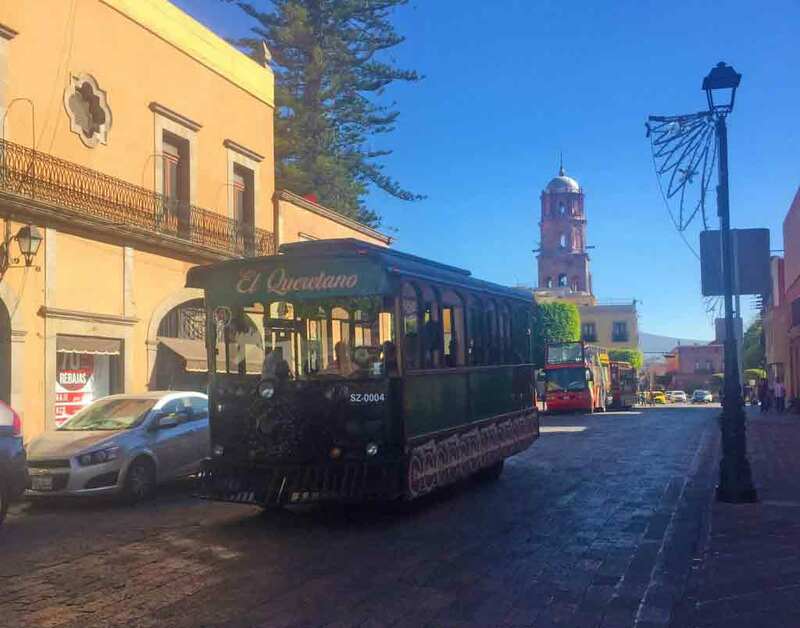 The capital city of the region is also surrounded by other interesting towns, especially the so-called Pueblos Magicos at a comfortable distance for a daily visit and it’s closed to the fascinating Sierra Gorda. First and foremost remember that all museums are closed on Monday, just so you know. Get lost walking around the historical center, remembering to look up and check the old houses rooftops, their decorated and multicolored walls and old doors. Check out the churches architectures and the heavy Baroque style interiors. Visit the Temple de Santa Rosa de Viterbo which besides the beautiful architecture it would always host some art exposition. 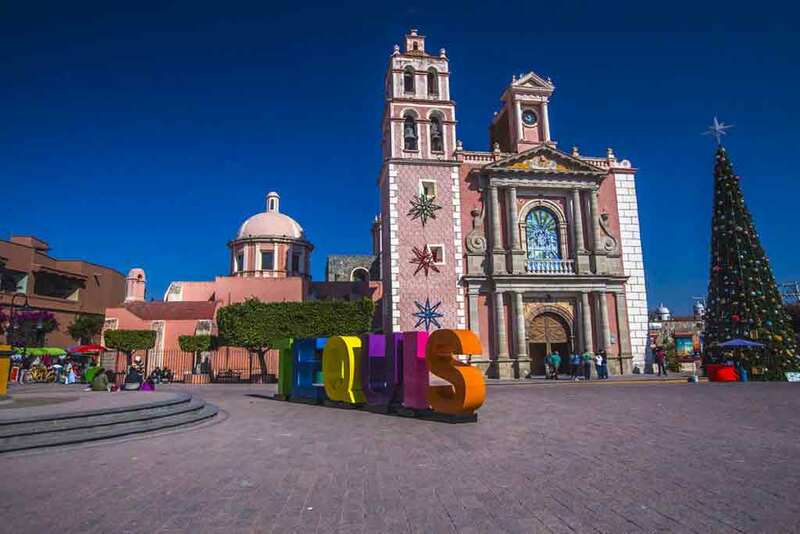 Visit the Temple and Church of Santa Cruz and take a guided tour there. 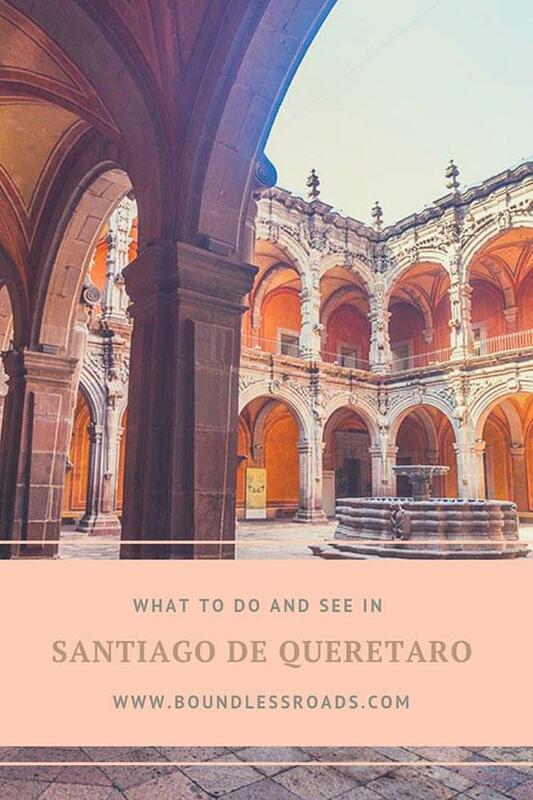 it’s only 20 pesos and the young volunteering guides will tell you a lot of stories and legend about Santiago Queretaro and the monastery and how it was founded. 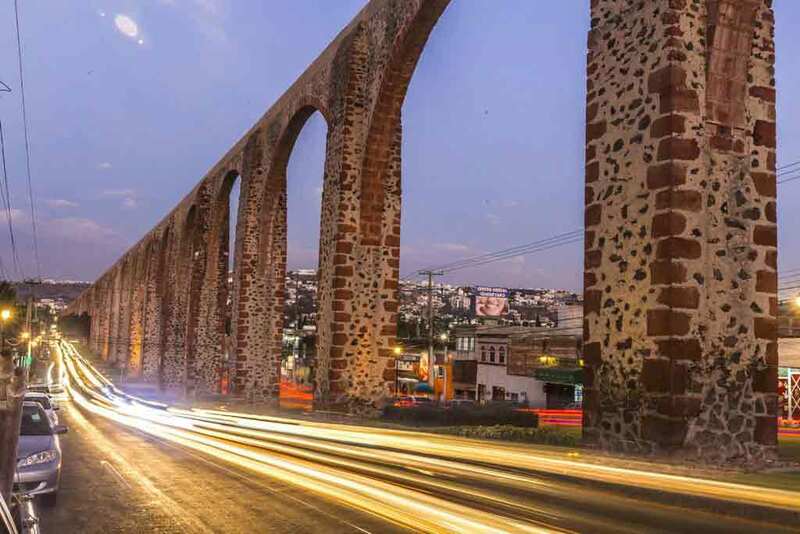 Visit the “mirador“, just behind the Templo of Santa Cruz, where you can admire the historical Aqueduct. If you walk down on the other side you will get underneath the arches for great night photo shootings. Visit the Plaza de Armas where you will see the “Casa of the Corregidora” now a government office. La Corregidora was the wife of the city’s mayor called a “Corregidor” . Her name was Josefa Ortiz de Dominquez and she is known for her undiscussed role in the Mexican Independence, for which Queretaro is considered to be one of the cradles. 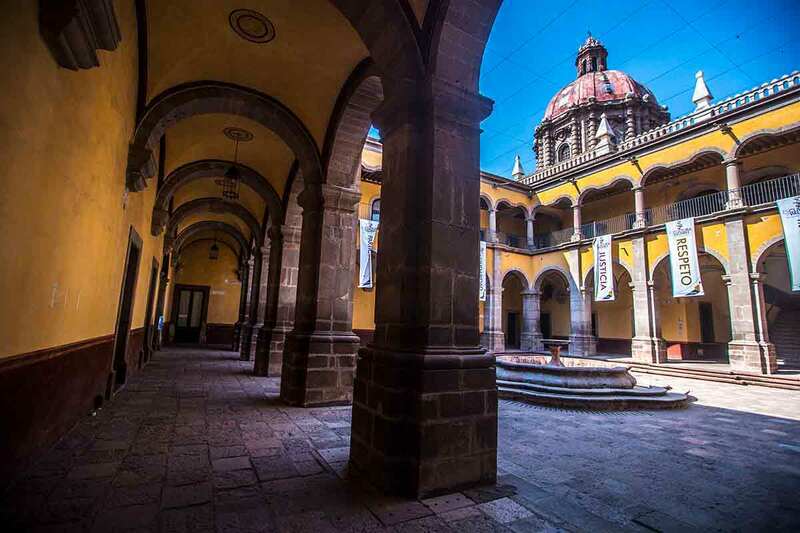 In fact what is now the theatre of Queretaro is where the independence of Mexico was signed. I admit it I did it. I always consider it the most touristic thing to do and I wouldn’t normally do it. However this time I thought I would learn a lot of history and legends on Queretaro and that was exactly what happened. A pleasant ride on the old tram with a local guide explaining all the funny stories about the city. It’s only 70 pesos and all worth it. 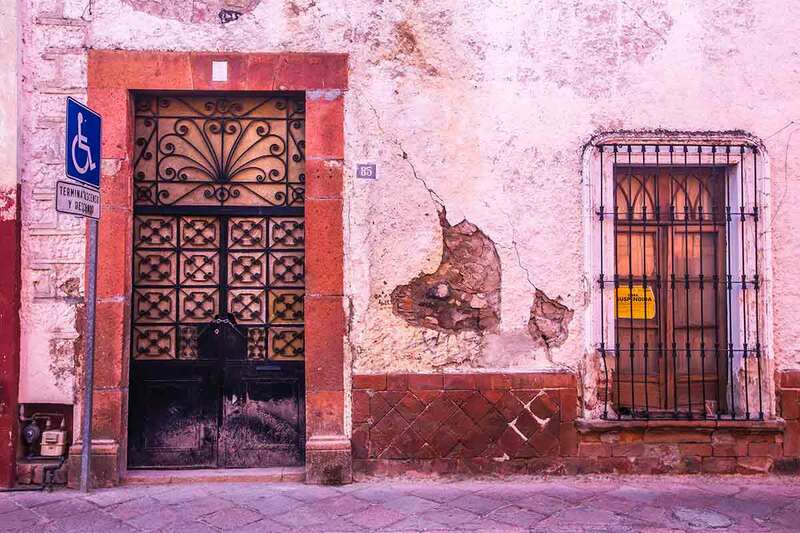 Visit the Casa de la Ecala, one of the most beautiful examples of the baroque style in Santiago de Queretaro. 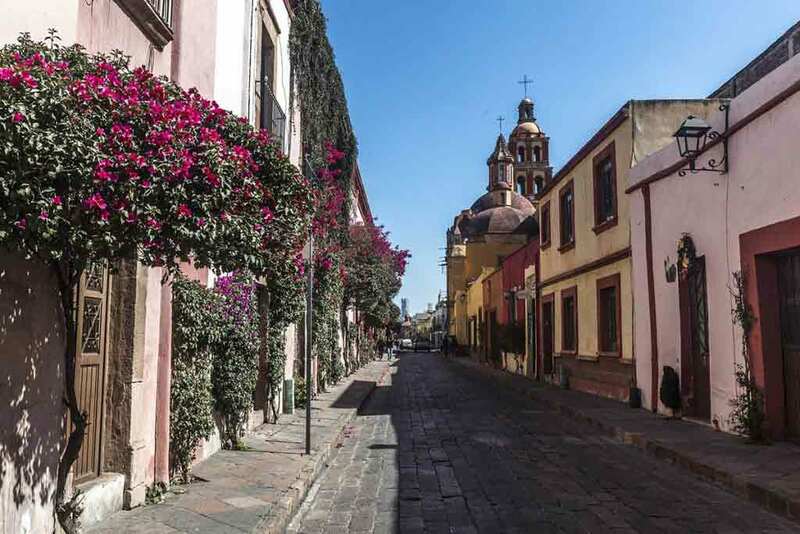 It was built in XVIII century as the residency of the Governor of the city, don Tomás López de Ecala. It’s especially beautiful for its facade with the gorgeous arcade of the ground floor and the balconies of the upper building with beautifully made iron handrails. It’s located in front of Plaza de Armas. 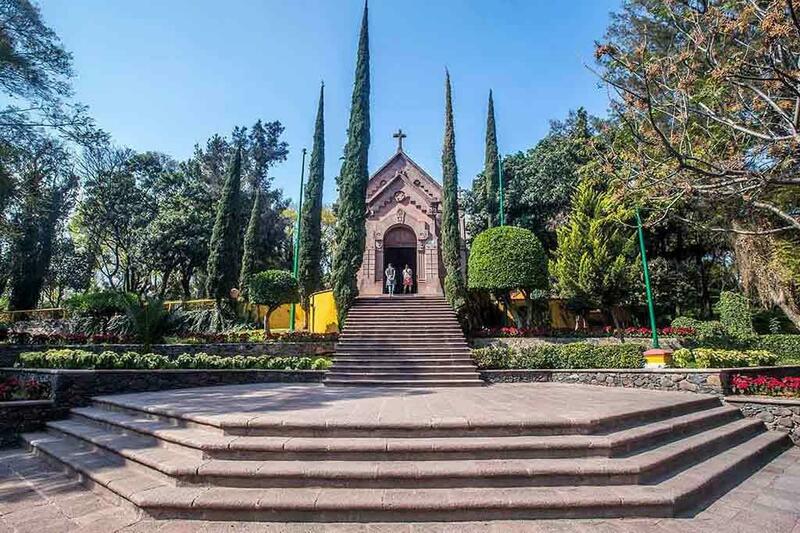 Cierro de las Campanas is a beautiful well kept park where you will find a small chapel and a muniment dedicated to Maximiliano de Hamburg who was killed here so that Benito Juarez was restored back in power. Visit the archaeological zone of El Cerrito, located at about 5 km from the historical center, it’s a small site and you are not allowed to climb the pyramid but it’s a beautiful interesting setting and fun to visit. 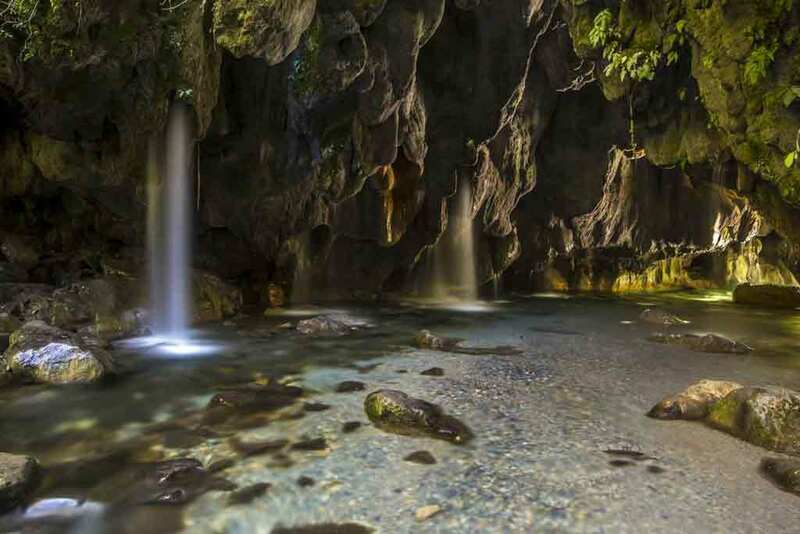 Visit the Cimatario National Park – if you wish to get away from the city life this is a great place to walk around in nature and exercise on the small hike on the hill inside the park. They have a small lake as well and a bird nursery where they look after hawks and owl and other spices that have been hurt and would not be able to survive on their own. Pay attention to the amazing views that you have on the way up to the park. 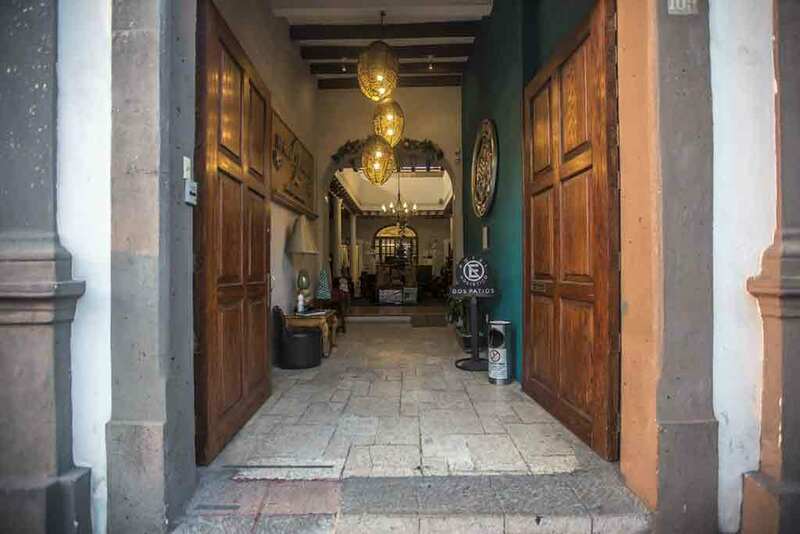 For my stay in Queretaro, I made a huge mistake, as I preferred to rent a private room on Airbnb which was far from the historical center and sacrifice the comfort for the privacy of my own room at the same price. 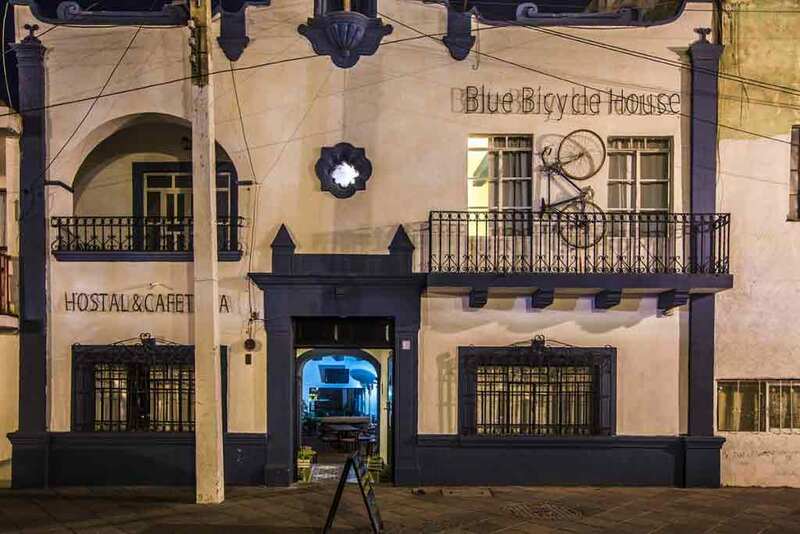 While I was walking around the city I noticed that there were a couple of nice hostels that for the same price offer a very comfortable stay right in the heart of the city, where life happens. I have visited a few luxury hotels and different range of prices up to hostels in order to be able to give you some tips on where to stay. Here below is my choice. LA CASA DE LA MARCHESA – from 86 $. This iconic hotel offers a luxury experience in the middle of the historical centre close to shop restaurants and places to visit. The hotel was the house of a noblewoman with a very interesting story behind. The building has been redone and refurbished with elegant Balinese furniture when it was turned into a hotel. Also, the patio on the ground floor is a great setting for the hotel restaurant, very popular among locals, especially for breakfast. If you are not going to stay there I would suggest you should go for a visit and admire the stunning architecture. This one was my favorite both for the location, close to the temple of Santa Cruz and for the cute style. They also offer 1-hour bicycle use per day, according to availability. I haven’t personally seen this one but it looked cool with lots of art and nice decoration, right in the middle of town. What I love about this place is the rooftop terrace. The rooms are simple but nicely decorated in soothing color and cheerful art. If you love to stay in an apartment and you are used to booking through Airbnb you can use my coupon and get a discount ( I will get one too 😉 . About the eating scene, I have written a whole post as I have been browsing all the possible restaurants I could possibly do in a week, without overeating of course. My reviews are mainly for the vegan or vegetarian lover BUT the omni-eaters could also benefit from it because I have found out incredible restaurant options that serve any kind of delicious food and a vegan option as well, such as La Biznaga, or La Vieja Varsovia, among my favourite. 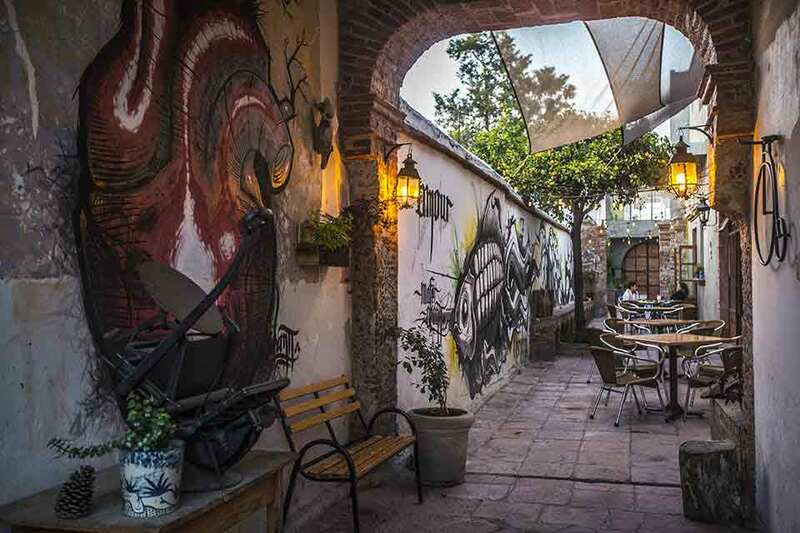 Check out the article if you want to know more about the best restaurants in Queretaro. 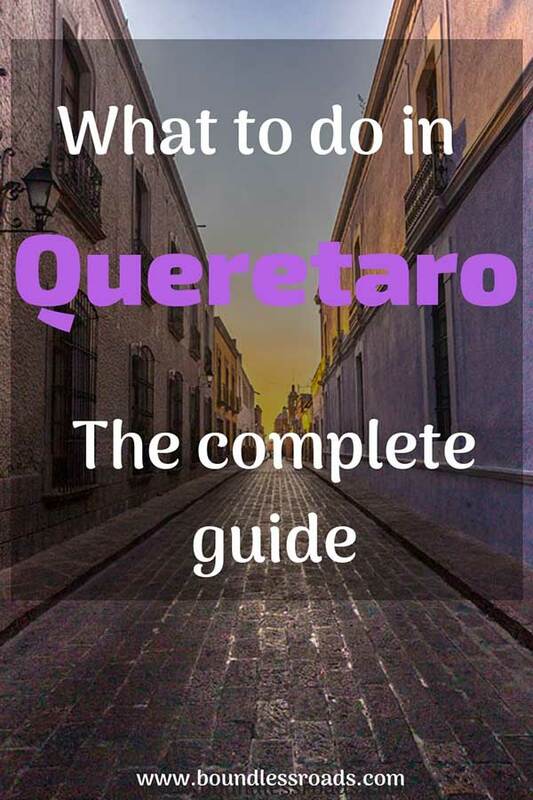 If you need a week for the city only, you might want to plan another week to see the entire region of Queretaro has to offer. 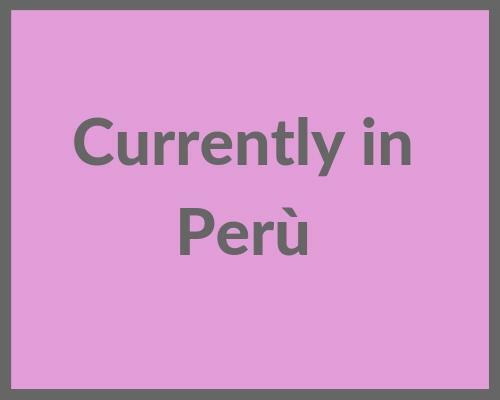 In reality, you could appreciate the city in a couple of days unless you love to experience it like a local or check out all the museum of the city, or the restaurants, just like I did. 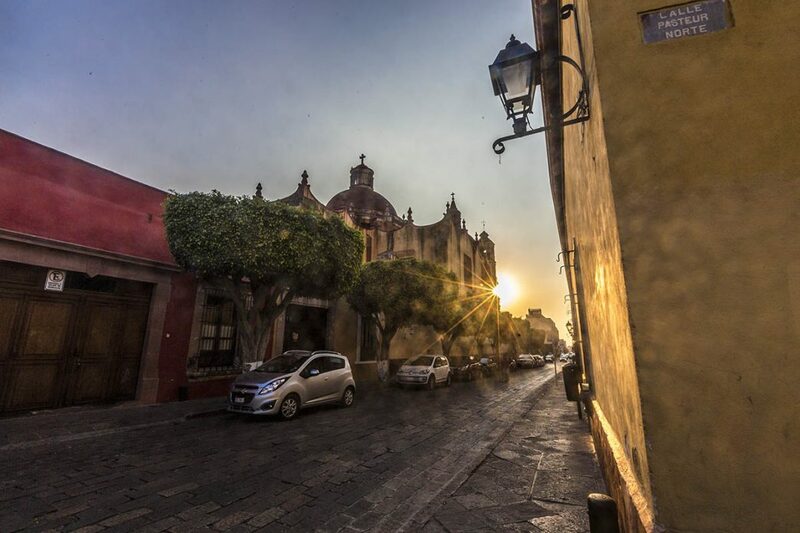 The state of Queretaro, although relatively small, hosts a couple of pretty cities that are considered Pueblos Magicos, for their charm and historical importance. I have seen almost all of them and I will tell you briefly my thoughts here below. It’s a very small town, so popular for the third largest monolith in the world towering over the cute colored city. 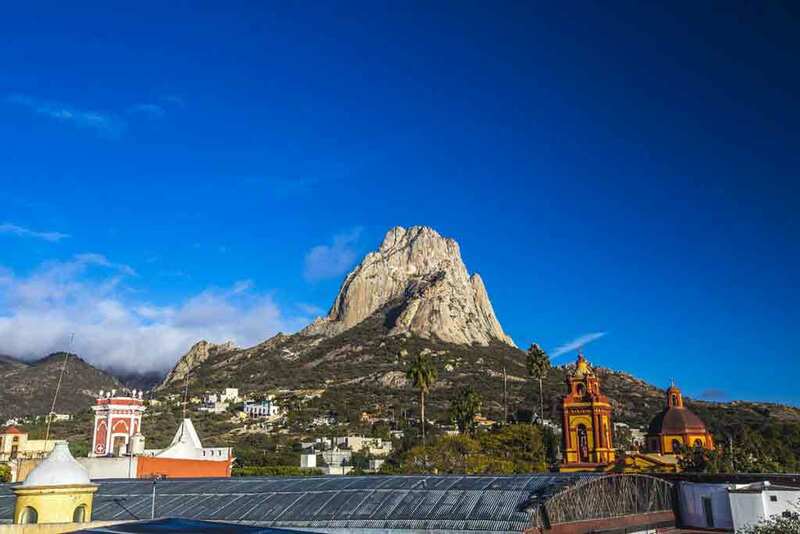 The city in itself doesn’t have much to offer, but the views of the surroundings are breathtaking and a hike on top of the Peña de Bernal is definitely due. I suggest you go early morning, especially if you chose to go during the weekend or on festive days in order to avoid the crowd. If you are a climber this is a great spot to test your abilities. The path to the top stops to a certain hights after which you need to be equipped with the right tools and an expert guide in order to go forward. This is the only town I haven’t been to, unfortunately. It’s inside the Sierra Gorda and it’s popular for its cactus greenhouse. I hope to have the chance to see it next time. This small town nestled among the hills and mountains of Sierra Gorda is your perfect base to organize all the excursion through the natural wonders of the region, so rich in culture, various different landscapes and adventurous activities to do. If you bear with me a couple of days I will tell you all about it in a different post. 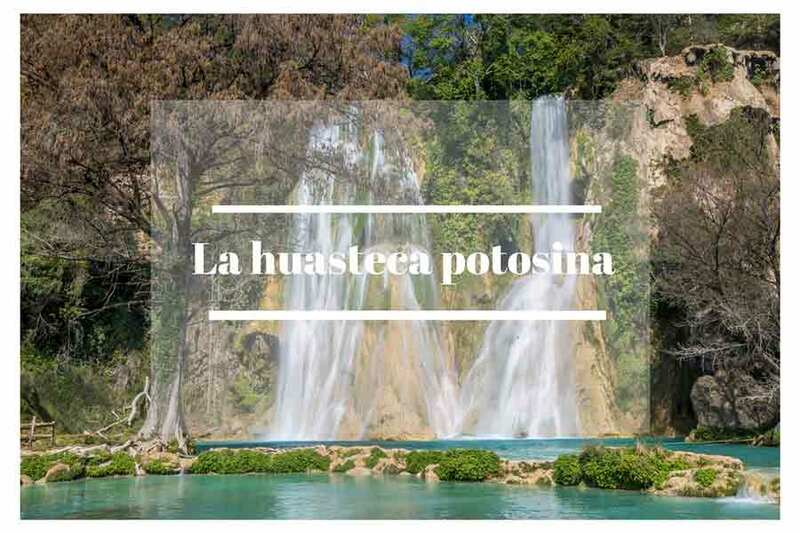 It’s the last Pueblo Magico in the Sierra Gorda and in the State of Queretero, close to the borders with San Luis Potosi and the Huasteca Potosina of which I have extensively written on this small guide. 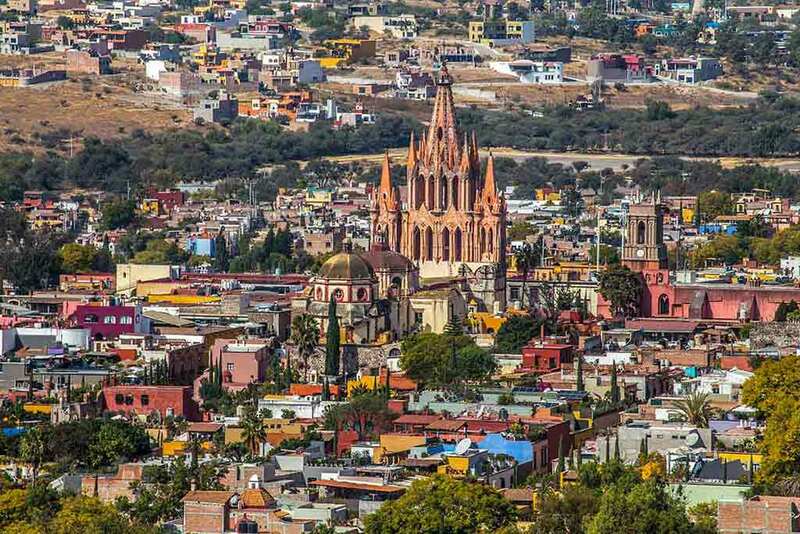 Please note that San Miguel de Allende is not in the state of Queretaro, but in Guanajuato. However, it is at 2 hours bus distance from the city and I thought I should include it. I use most of all Booking.com. I find it very convenient because it shows all kinds of accommodations, from hostels to villas to hotels. I love the layout of the site and the comments of the previous guests. And they always have great deals. However, I always recommend to check out different sites and compare them. I come from the travel industry and I know for a fact that hotels agree from time to time with different tour operators to make special exclusive deals. So maybe one day you will find a great deal with Booking.com and the other day with Expedia or Hotels.com for the same hotel. So it is always worth checking them all. Of course, there are many other booking sites, but these are the ones I feel more comfortable with. Now you have to know that Expedia and Hotels.com belong to the same company Expedia Group, together with many other sites, but they still display different rates as they have different targets. I know it sounds odd, but it is what it is. Last but not least, always check the hotel web page because sometimes they have a better deal. Even better if you can call the hotel directly and ask if they have a special rate for those dates that you want to book. They might give you an offer in order not to lose a potential client. I also check the reviews on TripAdvisor, both for hotels and tours. It doesn’t cost a thing and it helps a lot in choosing. You can also check their prices and compare them as well. For flights, I use both Skyscanner and Expedia as well. The same rule applies: always compare. They are both good because they are aggregators which means that they compare prices from different sites and airlines. However, it’s always good to double check with the airline site directly. I couldn’t have one while I was traveling in Mexico because I am a resident there, but as soon as I left I did my insurance with World Nomads. 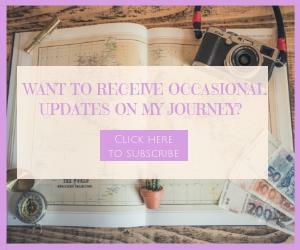 After a research on the web and through friends I found World Nomads to be the most used and the most reliable when it comes not only to sickness but also missed flights, credit cards issues and so on. Whatever insurance you decide to get, that’s fine though, as long as you have one. I just can’t imagine being stuck in a place sick and miserable and not being able to get the necessary treatments because I can’t afford it, or having to ask my parents or friends to support me. That’s inconceivable to me. For me, it is super important and I can never recommend it enough.